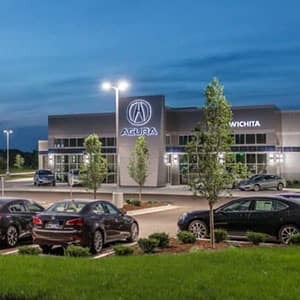 The 2019 Acura ILX makes a bold statement on the road and is stylish, comfortable, and luxurious inside. 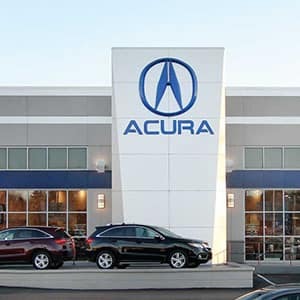 The “ILX comes with a generous amount of standard equipment and options such as a full suite of active safety features, an upgraded audio system, and navigation,” according to Motor Trend. The spacious cabin offers features across 4 package options, including an A-Spec package with stylish and performance-enhancing features. The ILX comes in four trim levels with each offering something a little different in terms of seating. The Standard Package doesn’t skimp out on luxury and includes a leather-trimmed interior with heated front seats and power lumbar support for the driver. The Premium and Technology Packages upgrade to Perforated Milano Leather and adds lumbar support for the front passengers as well. The Standard Package is well-equipped with features that make the interior supremely comfortable as well as convenience features that make life on the road go more smoothly. Keyless access, smart entry, and push button start are all ideal for busy drivers on the go. And dual-zone automatic climate control keeps everyone comfortable in any type of weather. The Standard Package also includes ways to stay entertained and connected inside. With Bluetooth technology, Pandora Compatibility, and more, you can listen to your favorite musical artists and even discover new ones. Though the ILX offers a sporty and compact stance on the road, and is able to maneuver through tight spaces with ease, inside is anything but cramped. With seating up to 5 passengers, both rows offer plenty of head, leg, and hip room so even tall adults in the rear seats can sit comfortably. And with a roomy trunk area for cargo, you can take everything you need with you on the journey. The Premium Package includes some upgrades and additions to the standard list of equipment. With Apple CarPlay and Android Auto, drivers can access content on their phones through its familiar interface. And an SMS Text Message and Email Capability means that you never have to miss messages. The Technology Package includes all the features on the Premium and adds more tech including a navigation system that guides drivers to their destination using the best routes with traffic rerouting. The A-Spec Package can be upgraded from the Premium Package or the Technology Package and adds some unique styling and driver-centric features of its own. For drivers who love to drive, and love to feel the thrills behind the wheel, the A-Spec is the one to consider, complete with chrome details, a steering wheel insignia, and stainless steel sport pedals. 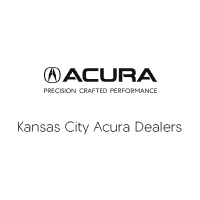 Find out more information on the 2019 Acura ILX by contacting us or visiting your nearest Kansas City Acura Dealer. Explore current offers and experience the ILX firsthand with a test drive today.